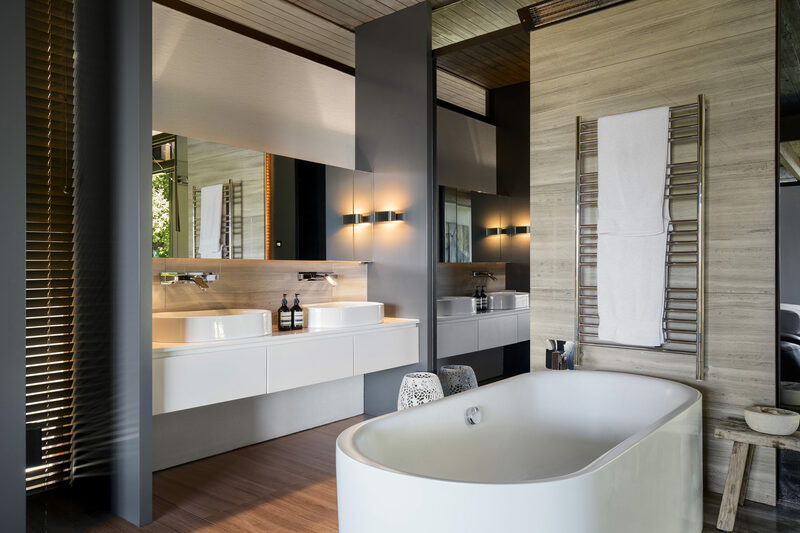 Architect Stefan Antoni combined the original separate bedroom, bathroom, dressing room and passageways in a dilapidated Modernist home, to create a large open-plan suite with a Zen-like resort look. Judges’ comment: Smart design to reconfigure three smaller rooms into one open plan, and opening the space to views on both sides. A very sophisticated and beautiful mix of materials.